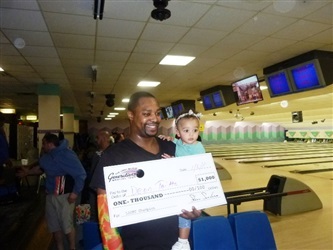 New Hyde Park, NY: Deon Taitte, a 34 year old welder from Amityville, NY, won the $1,000 top prize at LIGBT’s sport shot event at Herrill Lanes. 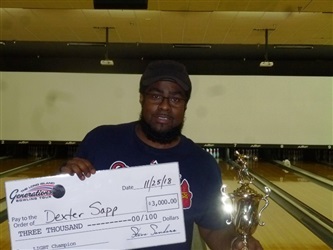 Deon earned his second LIGBT title by defeating Scott Kampf 232-231 in the final shootout. 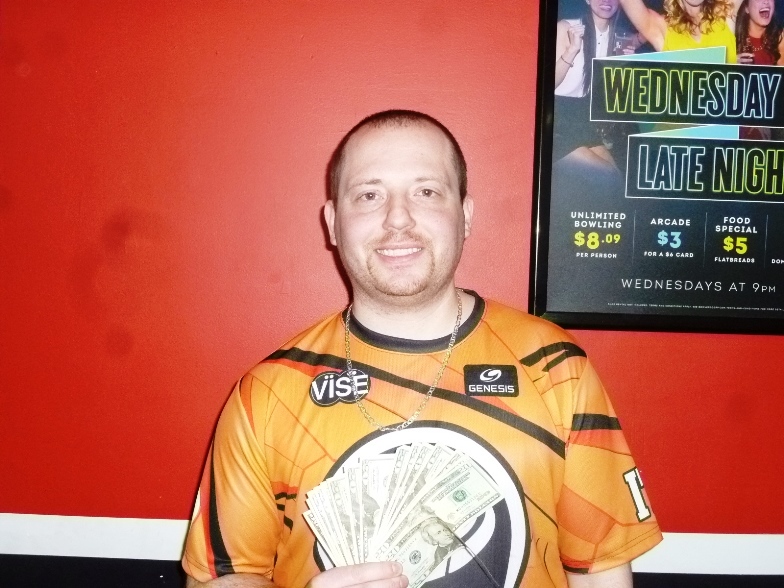 While Scott earned $600 for second, finishing third was Weldon Drayton, Brentwood, NY with a 228 worth $400. Rounding out the top 6 was 4th place finisher Cary Fishman, NYC with a 197 worth $350, 5th went to Tony Scibelli, Williston Park, NY with a 195 earning $300 and 6th was taken by Maniram Basdeo, Bronx, NY with a 176 worth $250. 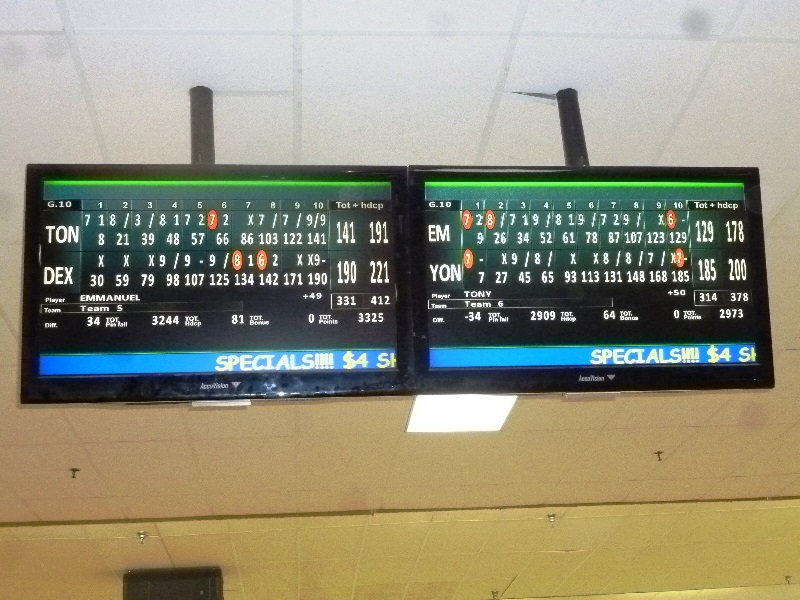 The six bowler shootout became a 2 man race by the middle of the game. Scott, who was giving everyone pins, started off with 6 strikes in his first 7 frames. Meanwhile, Deon was the only other bowler to stay close as he was clean through his first 7 frames. When Deon struck in the 9th, and Scott spared, the title came down to the final frame. Deon went first and struck. 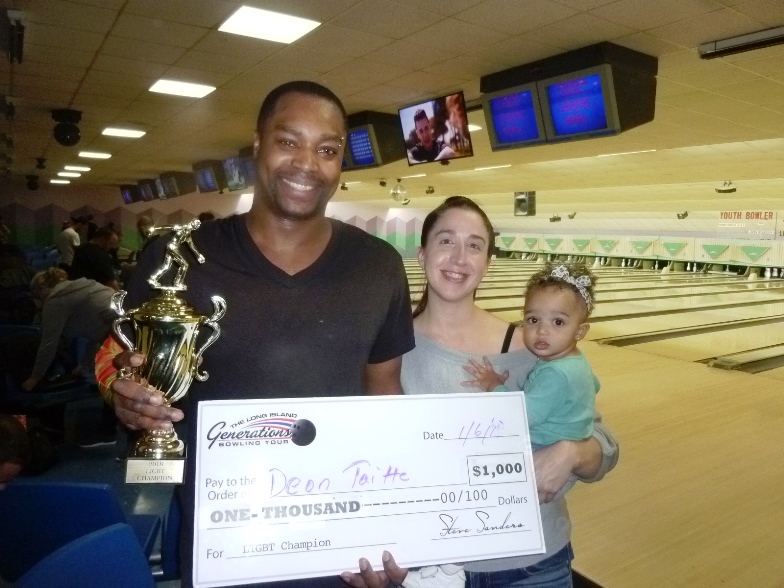 Scott threw an 8 count on his first ball which meant Deon needed one more strike for the title. Deon threw a 6 count and thought he lost but when Scott missed the easy spare Deon had a 1 pin victory and his second LIGBT trophy. 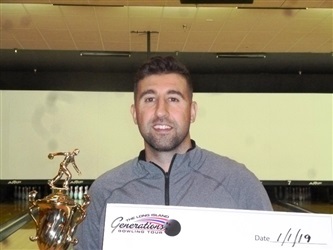 The Herrill event drew a great crowd of 110 entries, advanced 16 bowlers to the finals and cashed another 14 bowlers for $75 (better than 1 in 3.) The total prize fund paid out $5,380 with all finalists earning at least $150. The cut scores on the Mexico City pattern were low; 637 & 636. High series of the tournament was shot by Weldon with a 737 in the 3pm squad. 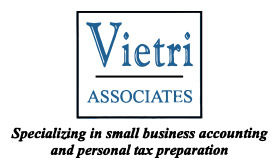 There were 2 wildcard winners; Darcy Monroe, E. Meadow, NY with a 1280 and Pete DiStefano, Franklin Square, NY with a 1276. LIGBT’s next tournament is a special MLK weekend event at Strike 10 Deer Park. This 3 day extravaganza features an entry fee as low as $50 and top prizes of $1,500 & $750. 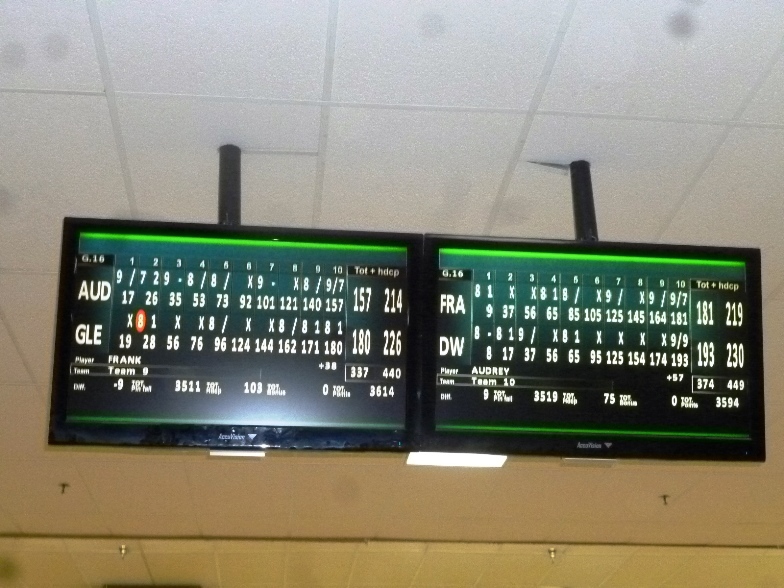 To view the final results of the Herrill Lanes event please visit www.ligbtour.com. The LIGBT is sponsored by Kegel, Knockout Ball Cleaner, Torch Bowling, Billvee Electric, & Vietri Associates, and ManyStylesOfBowling.com. Garden City, NY: The LIGBT crowned 2 champions on New Year’s Day at AMF Garden City. The handicap marathon champion was Adam DeRossi, Massapequa Park, NY winning $1,000. 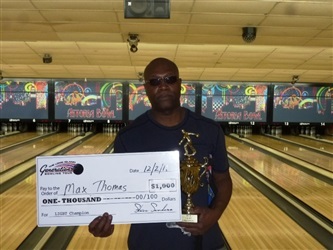 The scratch marathon champion was Ed Hawkins, Bay Shore, NY winning $700. An incredible entry count of 165 entries competed for over $15,000 in prizes. The handicap marathon, which attracted 127 entries, featured 2 age divisions. 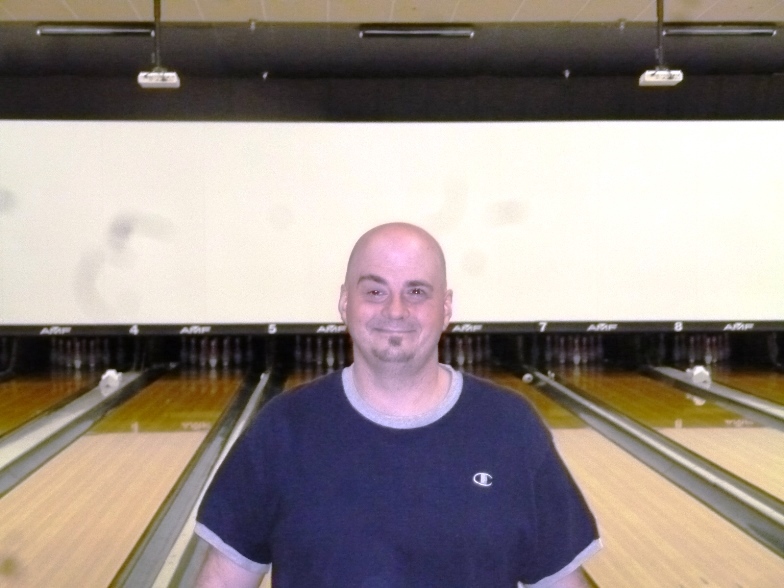 The 49 & under group advanced 2 bowlers to the finals; Jeff Juarez, E. Meadow, NY (1242) and Adam DeRossi (1236). 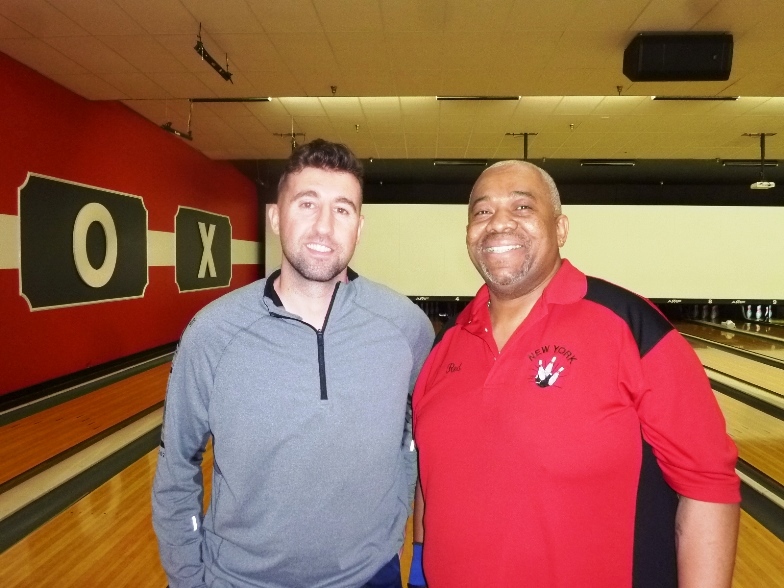 The senior division also advanced 2 bowlers to the finals; Dwayne Redman, Bronx, NY (1237) and Shui Lee, Forest Hills, NY (1233). 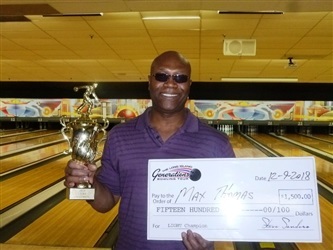 Dwayne earned a seed into the final match as he was the highest eligible bowler from either division. To cash in the 1 in 5 prize lists the 49 & under cut was 1186 and the senior cut was 1172. All cashers earned a minimum of $100. The handicap finals had 2 rounds. 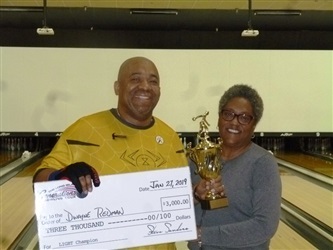 The first round consisted of 3 bowlers with the winner advancing to meet the top seed, Dwayne Redman, in the final match. Adam DeRossi and Jeff Juarez, were within 1 pin of each other in the first match. Surprisingly, Jeff chopped a spare in the 10th giving Adam the match. Jeff finished third with a 208 earning him $425. Also making the shootout and finishing fourth was Shui Lee with a 201 worth $350. The championship match was a blow out as Adam defeated Dwayne 279-182. Dwayne just couldn’t find the line until late in the game but was happy with his $700 second place finish. The victory was Adam’s third LIGBT title. The scratch marathon prize list was determined by the 5-game totals. 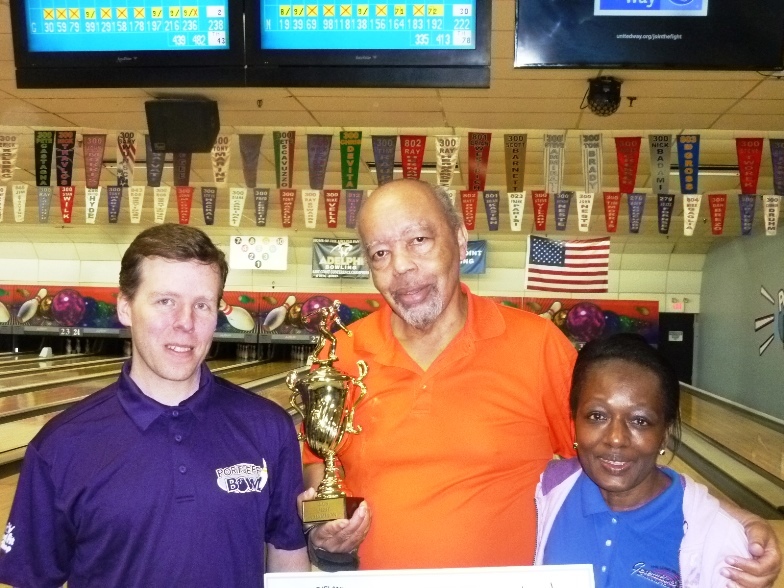 Ed Hawkins won the scratch title by 1 pin with an 1163 total. 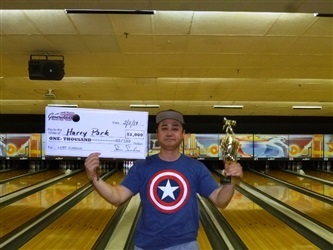 Jeff Juarez, who finished third in the handicap event, shot an 1162 series to finish second and earn $425. Rounding out the top 4 was third place finisher Andrew Mienkiewicz, Massapequa, NY with an 1140 worth $300 and 4th went to Craig Koppell, Syosset, NY with an 1129 total earning him $200. 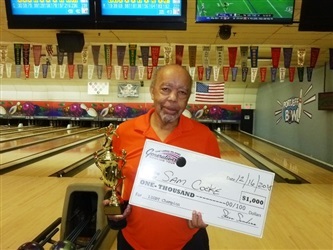 The scratch event attracted 38 entries and paid out $2,000 to 7 different cashers. The scratch cut to cash was 1073. LIGBT’s next event is a sport shot tournament at Herrill Lanes; Sunday, January 6th. Top prizes are guaranteed to pay; $1,000-$500-$300-$250 with 1 in 4 each squad cashing. For complete results of the New Year’s Day marathon please visit www.ligbtour.com.